Calista Ward Illustration: Babies are so fun! I've had a couple of little projects on the side lately. One - a baby announcement, and another a baby shower invitation. These were both fun projects and great people to work with. I've finished both the paintings and incorporated them into digital prints. Here are the finished pieces. Finished paintings - The watercolor painting above of the baby boy is sold - it will look so cute in a little nursery! The one below has first dibs to it's commissioner of course, but if she doesn't want it- I'm quite fond if it! 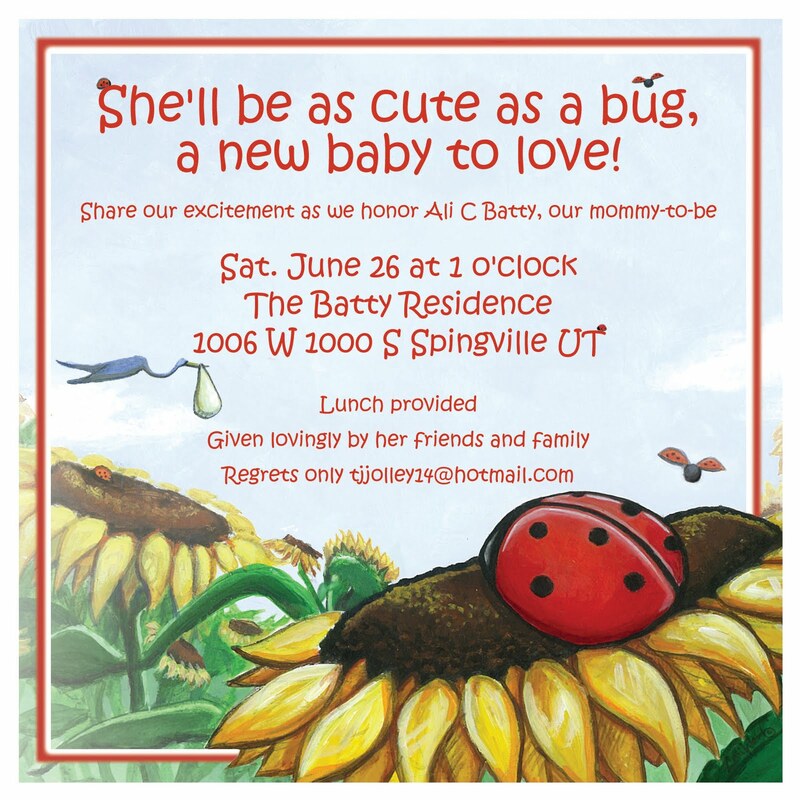 Below is the invitation - commissioned by Tia Jolley for her sister's baby shower. So cute! Cute! Cute! Cute! You are amazing!! I have been meaning to text you but I got so many compliments on the invites. And my sister LOVED them. Thanks again.